The deadline to file taxes is just few months away and people begin to scramble getting the required documents in order, deciding how to prepare taxes, and hoping for a solid refund. But let’s pause for a second and review why are we in this race to April 15th. 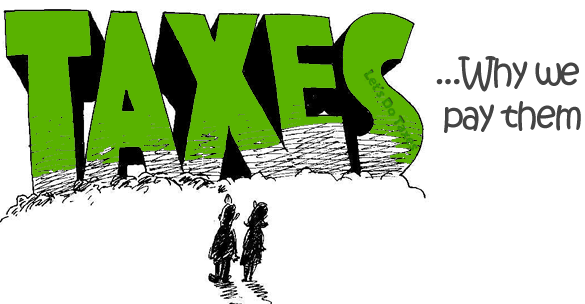 Although income tax in America has a long history, its modern era began only 100 years ago. Prior to 1913, income tax was an on-again-off-again reality. The government was smaller and derived income from today’s equivalent of sales tax. Among the taxed goods were: spirits, tobacco products, sugar, property sales, corporate bonds, slaves, and carriages. Without significant expenses, the federal government managed to run annual surpluses. The situation changed drastically during the Civil War when the government faced a high and increasing bill to conduct the war. In order to pay for war-related expenses, in 1862 Abraham Lincoln enacted first income tax. Individuals making between $600 and $10,000 would pay 3% and those with income above $10,000 would pay 5%. That persisted until 1872 when the tax was repealed and tariffs become the major form of government income. This situation changed again in 1894 when the tariffs on many goods were lowered and the shortfall in revenue was supposed to be covered by income tax. Subsequently, one year later the tax was repealed as it was deemed unconstitutional. Our current income tax system began when Congress approved the 16th amendment to the Constitution allowing it to lay and collect taxes. Alabama was the first state to ratify the amendment in 1909 but it took until February 3, 1913 and the required ratification by a minimum of 36 states that made the amendment possible. Since then the major difference in taxation has been that it is no longer decided whether or not income tax should be assessed but what the appropriate rate should be. The harshest time for American workers have been times of war and the Great Depression. First it was the Civil War then World War I and World War II, and each time the war caused personal income tax rates skyrocketing. During WWI top tax bracket stood at 67% and WWII at 79% in 1939 and 94% in 1945. From 1950 to 1963 personal income taxes stood at over 90%; in 1964 personal tax rates dipped to 77% and declined to 28% in 1989. Since then the rates have been wavering and stayed relatively stable. The IRS used to be called the Bureau of Internal Revenue and was established in 1894; it changed its name to the Internal Revenue Service in 1953. Why is April 15th tax due date? Once the 16th Amendment was passed, Congress gave people a little over one year to report taxes. The initial due date was set on March 1st, then moved to March 15th to eventually settle on April 15th; postponing the due date helped spread inflow of tax returns over time and make processing more manageable. Income tax rates stood at 63% during the Great Depression; those fortunate enough to work had to contribute significant portion of proceeds to the government coffers. Form 1040 was released on January 5, 1914 and it was four pages long including one page of instructions; one page was dedicated to description of income and another for a short list of deductions (six to be precise).